I think the new Seamaster looks pretty good, but does anyone else think that the wave dial is a bit too distracting? Wrist shot. Working on my birthday. Again. Still. Makes it all worth it, doesn't it? What you gotta do, you gotta do!!! When the model was first released I thought so until I seen them at my AD. Last edited by Cybotron; January 23rd, 2019 at 22:01. When the model was 1st released I thought so until I seen them at my AD. 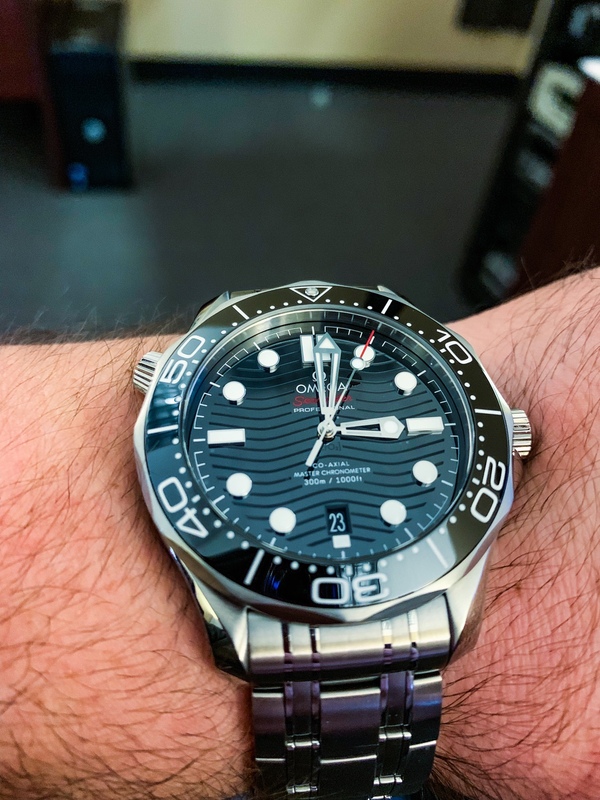 Omegas look dated very easily because of the constant changes, but the current new seamaster looks like a modern Alien watch with the rib/spine-like waves. It's very cool and technical, but not very clean so I don't see it aging as well as other dive watches. Well I guess you wont be buying one. BufordTJustice and AbsoluteMustard like this. Who knows? I said I'd never own a Rolex since I love Omega, then I went and bought a SubmarinerC, BLNR, Oyster Perpetual, and now I'm eyeing a Milgauss. For me if I look at a watch long enough and listen to enough kool-aid youtube reviews, I may pull the trigger. Can't argue with that. I like that Rolex keeps things the same, so that a 10 plus year old watch still looks the same. But I also like that Omega freshens things up a bit. I think the strategy works for each. Rolex, if you wait years to get one, you'll want it to look "new" for a while to come. Omega, since you can readily buy, in a few years you'll be looking for a fresh design after owning it.